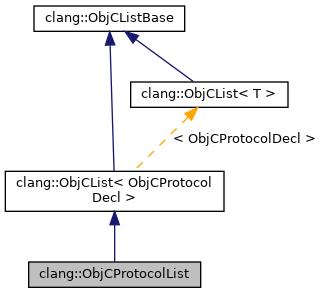 A list of Objective-C protocols, along with the source locations at which they were referenced. Definition at line 101 of file DeclObjC.h. Definition at line 109 of file DeclObjC.h. Definition at line 111 of file DeclObjC.h. 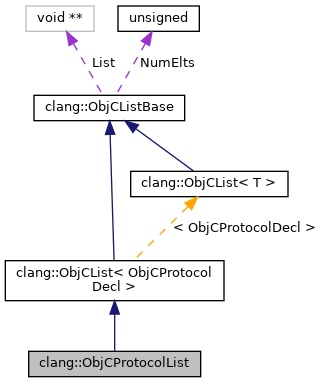 Definition at line 112 of file DeclObjC.h. Definition at line 53 of file DeclObjC.cpp.